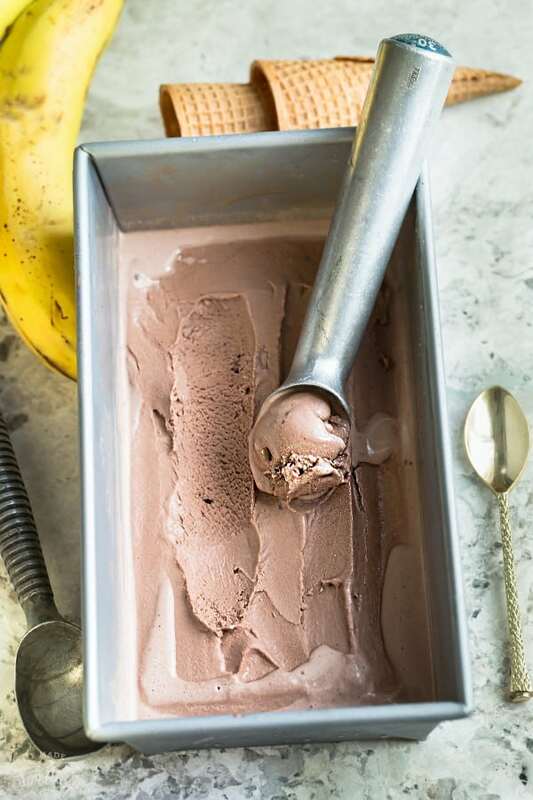 Two-Ingredient Chocolate Banana Ice cream – so easy to make with just two ingredients and is perfectly creamy and rich, and best of all, makes a healthy substitute for traditional ice cream! As much as I love fall, I’m still torn between apples, pumpkin and trying to hold on to the final moments of summer. 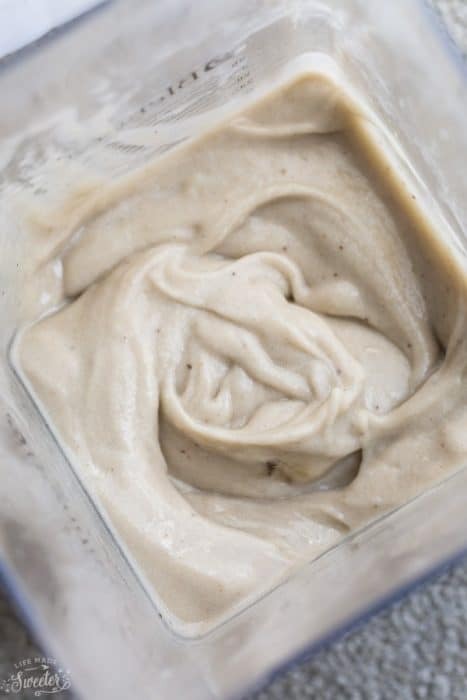 We’ve been having ice cream almost daily around here and this healthy version is actually the one I make the MOST for me and my kiddos. 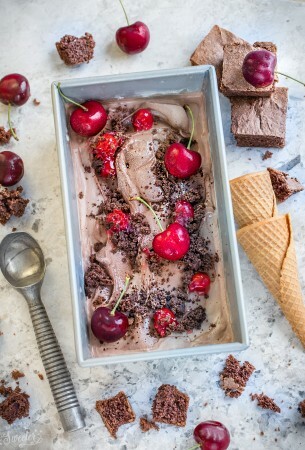 It’s only TWO ingredients – dairy free, paleo friendly, refined sugar free and best of all, you don’t even need an ice cream maker! 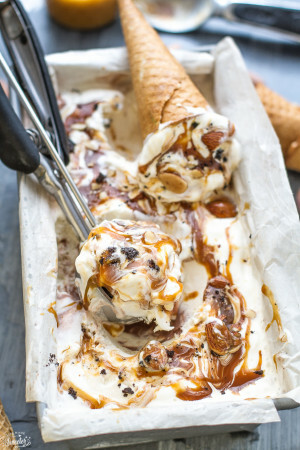 If you haven’t already heard of the banana “ice cream” trend, you are totally going to be hooked! It’s seriously SO delicious and makes a great healthy alternative to traditional ice cream. The banana tastes surprisingly neutral as well and makes a great base for other flavors! Slice and freeze ripe bananas – Slicing them into smaller chunks helps the bananas blend easier once they are frozen. For a sweeter ice cream, use bananas that are very ripe. If you use unripe bananas, you may need to add honey or sugar. When you place the sliced bananas into the freezer, be sure to line the plate or tray with parchment paper or they might get stuck. Once frozen, toss into a food processor or a high powered blender (Vitamix, Blendtec etc.) – At first, the frozen bananas will turn into a crumbly texture and then all of a sudden, will transform into a dreamy-licious soft, and fluffy soft-serve ice cream texture. Play around with flavor combinations – Feel free to add some peanut butter for flavor and protein or toss in some honey or maple syrup if you want it sweeter. 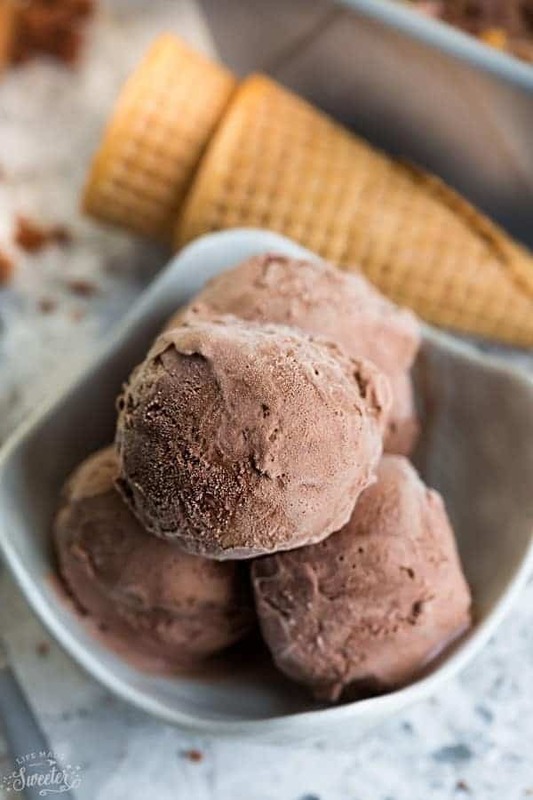 What you get is a creamy, rich, smooth, chocolatey and sweet frozen “ice cream” all with with just 140 calories in a serving. We make a batch of this every few days and it’s such a great way to use up those extra ripe bananas sitting on the counter. Slice the bananas into approximately and place onto a baking sheet lined with parchment paper and freeze for at least 1 hour. 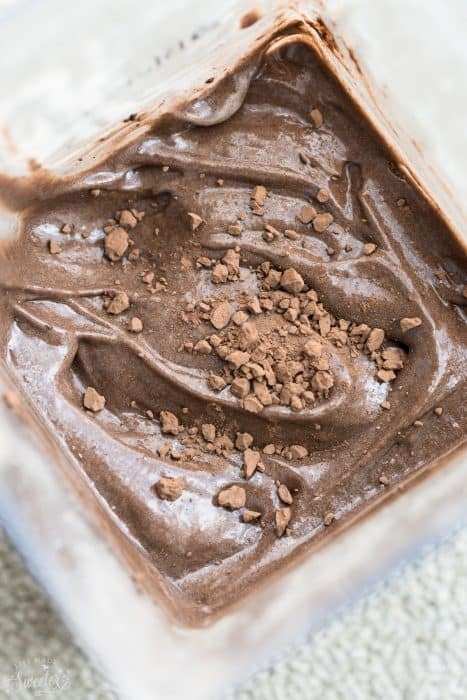 Place the frozen sliced bananas and cocoa powder in a food processor (or a high-powered blender) and blend together until the mixture looks like soft serve ice cream, scraping the sides of the food processor as needed. After a few minutes, the mixture will resemble soft-serve ice cream. 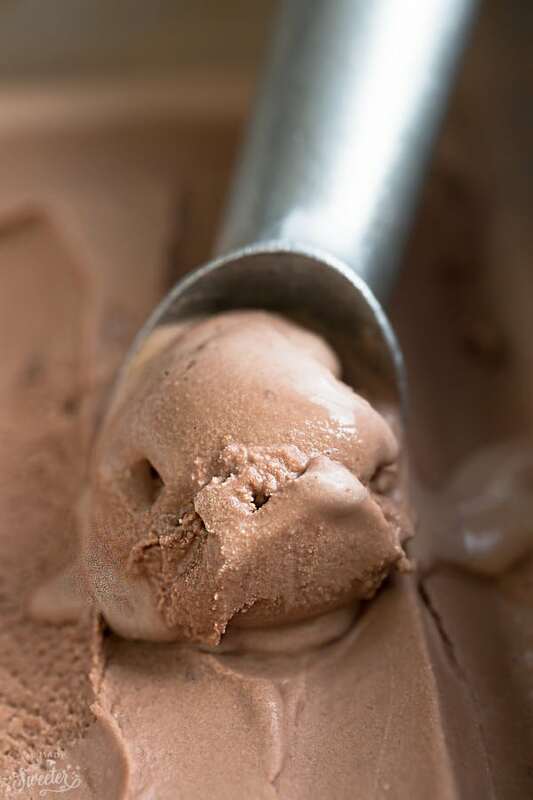 You can enjoy the ice cream immediately but I recommend transferring it to an airtight container and freezing until it’s a little more solid in about 1 hour.